I n the NBA, it was a rematch of the 2010 NBA Finals between the Boston Celtics and Los Angeles Lakers with the game in downtown LA. The Lakers have been an up and down team this year, beating the very average teams of the league, but they’ve struggled with the powerhouses… like Boston. This weekend, however, Kobe Bryant came to play against Boston. He put up 41 points on the day, but, unfortunately, not many assists. He didn’t exactly get too much help from his teammates, which allowed the Celtics to remain strong and eventually dominate the Lakers in the end. The Celtics shot the ball extremely well, and showed the Lakers that they better get their act together if they want to win (or even get back to) the NBA Finals. Boston 109, LA Lakers 96. In college basketball, for the first time in many years, St. Johns basketball is competitive again. The Redmen used to be one of the forefront teams in the 1980s, but have been rather dormant the past 20 years (with the exception of the Ron Artest era). Remember, that St. Johns is unofficially the college basketball team of New York city. Syracuse too, but St. Johns is more local. You can bet that Madison Square Garden was packed when St. Johns hosted the #3 Duke Blue Devils. And everybody likes to beat Duke. This game… wasn’t even close. It was a romp, as Justin Brownlee and Dwight Hardy put on a show to absolutely crush the Blue Devils. Watch out for St. Johns come tourney time. They are dangerous. St. Johns 93, Duke 78. Sunday marked the now current warm-up game for the Super Bowl: The Pro Bowl. This game is typically not a major event in the NFL because fans know that the players don’t go full force. They can’t risk their entire careers for an exhibition game. The NFC pulled out to a big lead behind some incredible defensive plays. They had big rushing plays from the Rams Stephen Jackson and the Vikings Adrian Peterson. The AFC tried to come back at the end, but an interception thrown by the Chiefs’ Matt Cassel resulted in yet another NFC touchdown that would seal the deal. It was a fun game with the NFL’s best, but the main event is next Sunday between the Green Bay Packers and Pittsburgh Steelers. The Super Bowl is upon us. NFC 55, AFC 41. In the NBA, it was a rematch between the New York Knicks and the Miami Heat. LeBron was back and Dwayne Wade was wearing red-tinted glasses to protect himself from the bright lights of MSG. They effect his migraines. New York is a team to be taken seriously this year, and they gave the Heat a fight last time they played. Well, you better believe that they were ready for them. The Heat got out to an early lead behind a fantastic game from Wade (34 points, 16 rebounds), but in the fourth quarter the Knicks surged past them. Amar’e Stoudamire put up 24 points, and then Danilo Gallinari (a rising star) hit a clutch 3-pointer to ice the game. Spike Lee, Donald Trump, and the entire fan base went crazy! The Knicks are for real this year. 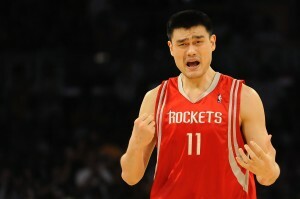 NY Kincks 93, Miami 88. Also in the NBA, the starters for the All-Star game were announced. Typically, the all-star game is purely an entertainment spectacle, but many are saying that this year has some gravity to it. They have spectacular players in the game, and ever since LeBron’s departure from Cleveland to partner with fellow all-stars, it has sparked other stars around the league to raise their game up. For the east, it’s LeBron, Dwayne Wade, Dwight Howard, Amar’e Stoudemire, and Derrick Rose (who beat out Celtics point guard Rajon Rondo). For the west, it’s Kobe Bryant (of course), Chris Paul, Carmelo Anthony, Kevin Durant, and in a blast from the recent past… Yao Ming at center. This game is going to be brutal, and should be a fantastic spectacle. Finally, in the NFL, it’s the end of an era After 16 seasons, Jeff Fisher has been fired as coach of the Tennessee Titans. Fisher first took over as head of the Houston Oilers and guided the team’s move from Houston to Tennessee. He even led them to the Super Bowl in 1999. The Titans were rather successful over this decade, but they hadn’t won a playoff game since 2004. They had a fantastic season in 2008, got a playoff bye, but got upset in the second round. 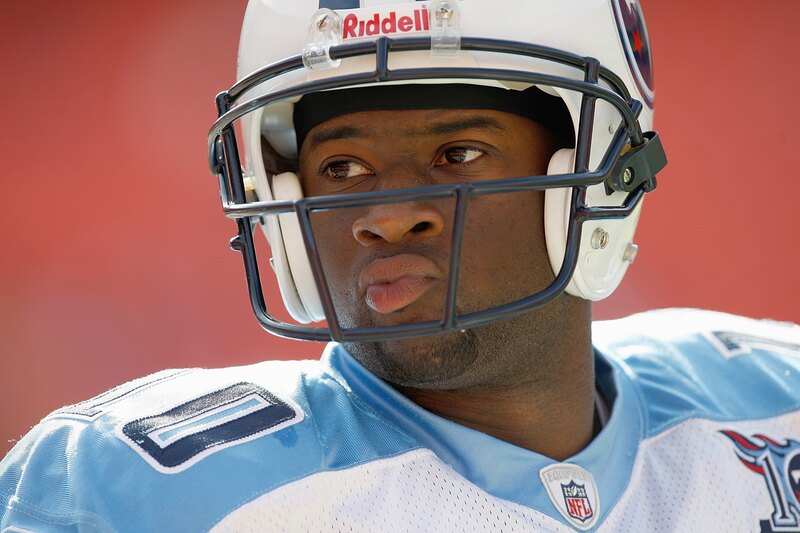 This past season, Fisher got in to a dispute with starting quarterback Vince Young. The Titans will most likely part with Young, but they’ve also decided to move on from Fisher. Time for a fresh start in Tennessee. In college basketball, it was a key show down between two potential Cinderella teams in the March Madness tourney. It was undefeated #4 San Diego State vs. #9 BYU (who has only 1 loss). BYU students camped out for 48 hours to get tickets to this highly anticipated game, which apparently is against BYU policy. San Diego State is coached by Steve Fischer, the man who coached the FAB FIVE at Michigan back in the early 90s. Fischer now has another fantastic team. 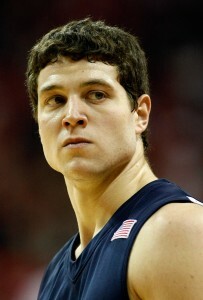 Unfortunately for the Aztecs of San Diego State, BYU has Jimmer Fredette, a relentless scoring machine. He dropped 43 points on SDSU to give BYU the win. Watch out for both teams in the tournament, but also look for Fredette to potentially make some noise in the pros. BYU 71, San Diego State 58. In the NBA, it looks like we have a new leader in the league’s most valuable team. It used to be the LA Lakers, but now the New York Knicks have surpassed them according to Forbes. This is most likely due to the fact that the Knicks are compteitive again and drawing bigger crowds. When the Knicks are good, the city becomes electric, because even though they’ve got the Yankees, New York is a basketball team. The Forbes report also showed that 17 of the 30 teams in the league lost money last year. That’s not good. But, the NBA does have a problem with a quality product right now, as there are about 8 teams that seemingly aren’t competitive at all. They are the teams that make up the swollen win streaks of the quality teams. There’s a chance you could see some contraction in the near future. Finally, in the NFL, with a pending lockout looming next season, commissioner Roger Goodell is finally starting to confront it. He said he would actively reduce his salary to $1 if there is a lockout. 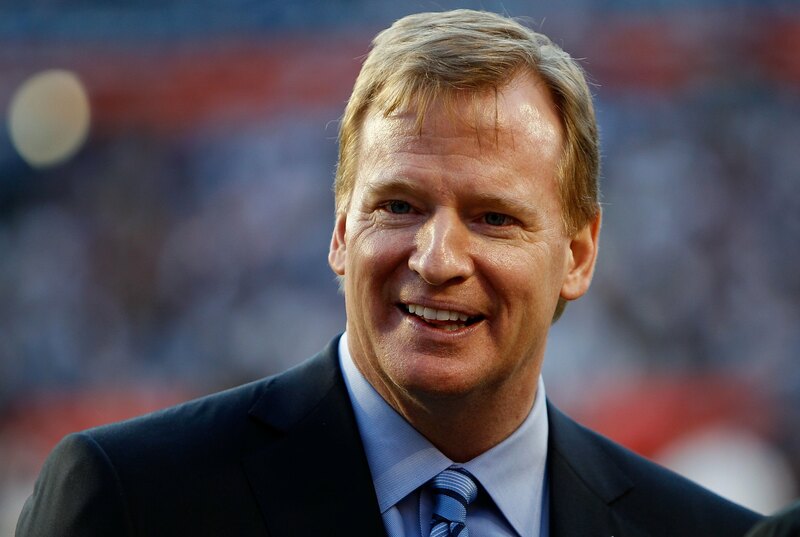 Typically, Goodell makes $10 million per year including bonuses, but would do whatever it takes to reach a fair collective bargaining agreement. Other top executives have also offered to lower their salaries during a lockout, but Goodell is hoping that nothing disrupts the NFL business and the entertainment it brings to fans. In the NFL, the controversy surrounding Jay Cutler’s injury continues. 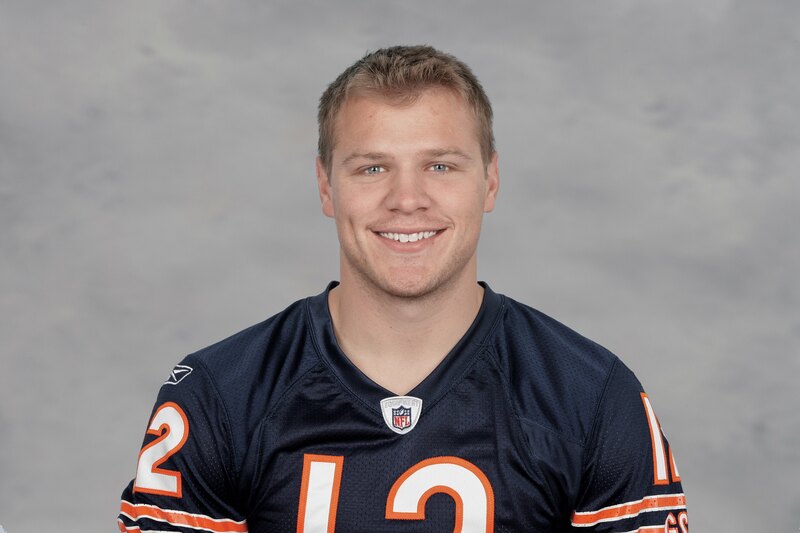 As mentioned yesterday, many NFL players openly criticized Cutler when he sat out the second half of the NFC Championship with a knee injury. 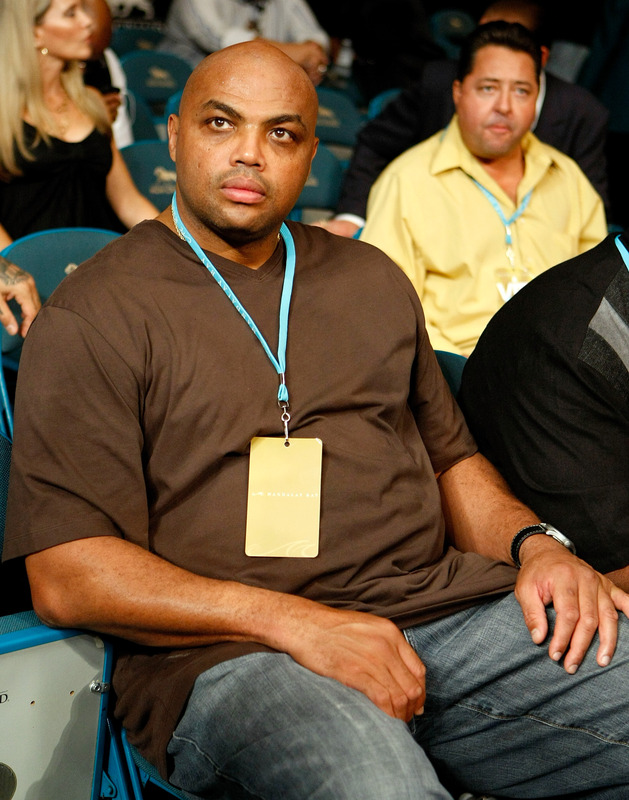 Now, of all people, former NBA star Charles Barkley is coming to his defense. Barkley said that it was okay for the media to bash Cutler, because that’s what the media does, but that fellow player’s shouldn’t question a player’s heart. He specifically targeted the Jaguars Maurice Jones-Drew, who tweeted multiple times about Jay Cutler during the game. Barkley called Jones-Drew a hypocrite as Jones-Drew also sat out the last two games of the season with an injury. Barkley said those were key games for the Jaguars, and firing jabs at Cutler for not having heart just makes Jones-Drew seem worse. Hopefully for Cutler this will die down soon. Elsewhere in the NFL, it looks like Michael Vick is finally back in the endorsement game. Of course, as everyone knows, Michael Vick was public enemy #1 after it was revealed he was heavily involved in dog fighting circles. He was out of the NFL for a year, and in jail for another. People didn’t even think he would get another chance to play in the NFL, yet get another endorsement deal. After all, every one of his sponsors dropped him after the ordeal. Yesterday he signed a deal with Unequal Technologies, a company that makes extra shock-absorbent padding. After suffering an injury, Vick wore these pads to protect himself. So it’s an organic fit for an endorsement: Star athlete with the padding he uses. However, it will be quite a while before a major brand like Nike or Gatorade comes his way. 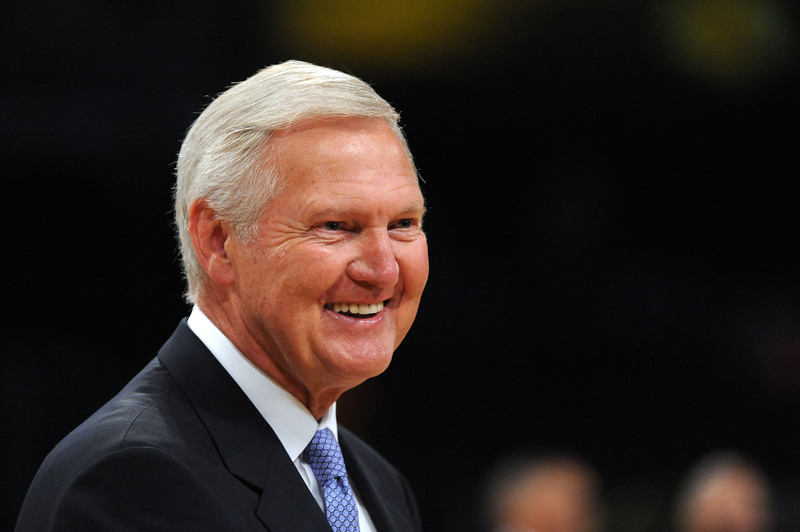 Finally, in the NBA, Hall of Famer Jerry West made a comment about the Los Angeles Lakers porous defense. He said he thinks it’s because they are too old. 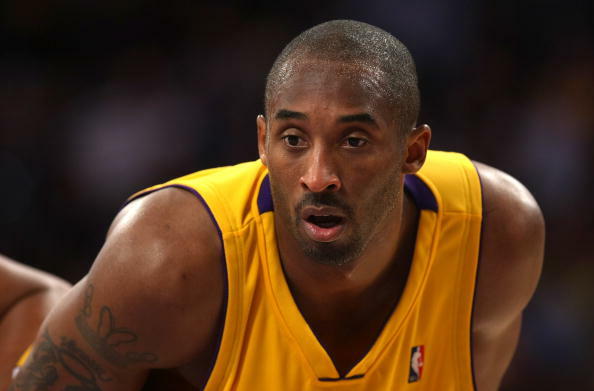 10 of the Lakers are over 30 years old, and this can lead to a much slower defense. He mentioned how they don’t really get to loose balls often, which makes sense, because you probably won’t see Kobe Bryant diving for many balls out of bounds. After crushing the Utah Jazz last night, Utah’s Deron Williams said, “They didn’t look old, they didn’t look tired, and they didn’t look like they couldn’t play defense”. And coach Phil Jackson said, “I better go out and buy some Omega 3s right away”. Clearly they don’t put much credence in West’s remarks. LA Lakers 120, Utah 91. In the NBA, there has been a lot of speculation as to what will happen with the New Orleans Hornets franchise next season. Unfortunately, Hornets have a putrid attendance rate and are doing horrible financially. This is somewhat perplexing considering the Hornets had a strong first few seasons in New Orleans (even earning a #2 seed) and have been half-decent this year. Last night, they won their ninth straight game when David West hit a buzzer-beater in the end to see a victory over a very tough Oklahoma City Thunder squad. Louisiana governor Bobby Jindal said their plan to keep the Hornets is to boost season ticket sales from 6,000 to the typical 10,000. Jindal added that there is a line for Saints’ season tickets, so it’s evident that the city supports its local teams. But, for now, the Hornets will remain in New Orleans for at least another season. New Orleans 91, Oklahoma City 89. Finally, in college basketball, #2 Pitt was looking to protect its undefeated streak at home. Plus, they have yet to lose in the toughest conference in the nation: The Big East. #14 Notre Dame hoped to put an end to both of those items. It was a hard fought battle until the very end, but behind Ben Hansbrough’s 19 points (and yes, he’s the brother of former North Carolina superstar Tyler Hansbrough), the Fighting Irish handed the Panthers their first home loss in over a year. The Big East this year will most likely deliver 8 or 9 teams to the March Madness tourney. That is HUGE, and there’s a chance they might garner 3 #1 seeds. This conference is the best thing in basketball right now. Notre Dame 56, Pitt 51. In the NFL, it was Conference Championship Sunday. Two games, and the winners would decide who will play in the Super Bowl. 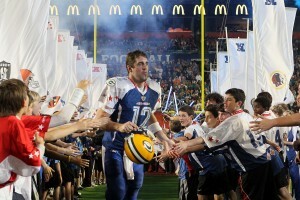 First up, it was the much anticipated rivalry between the Green Bay Packers and the Chicago Bears. This game has been talked about all week, and, apparently, it has been one of the highest priced tickets in Chicago EVER! And that includes Michael Jordan’s glory years with the Bulls. Remember, it’s one thing to be in the NFC Conference Championship Game, but it’s another to have to beat your long-time rival to get to the Super Bowl. 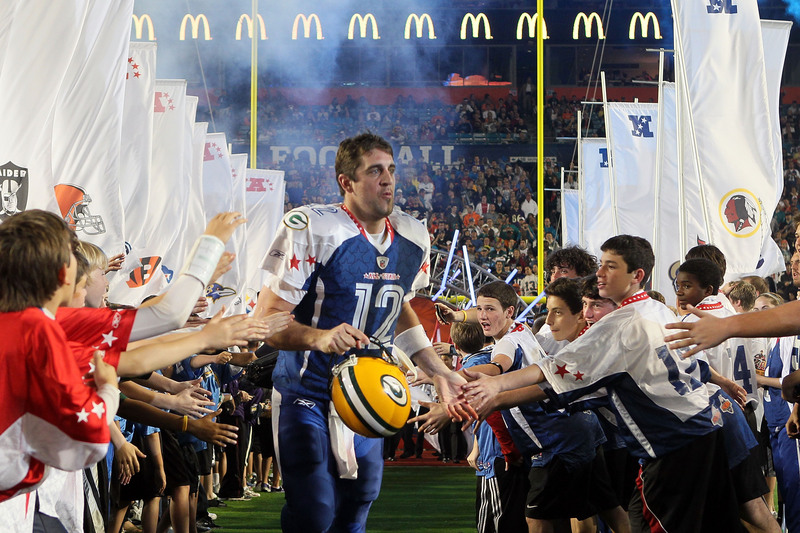 Coming into the game, Aaron Rodgers had been phenomenal, leading the Pack to two straight road wins. As for Chicago… they’re defense is seemingly impenetrable. So what would happen? Green Bay got on the board quickly behind an Aaron Rodgers touchdown rush. 7-0 Green Bay. Then, Chicago’s offense struggled, giving the ball back to the Packers. Their new found running back James Starks would take it in for another Packers TD. Then things went downhill for the Bears. Their starting QB Jay Cutler went out with a knee injury, so backup Todd Collins came in. Unfortunately Collins was horrendous and also got hurt. So, suddenly, their 3rd string QB Caleb Hanie found himself as the only hope for the Bears in the NFC CHAMPIONSHIP!!! Wow, that’s every kid’s dream — to lead a major team from behind and send them to the Super Bowl!!! Hanie actually played pretty well . He marched them down the field, which led to a running TD. 14-7 Packers. But then he threw an errant pass directly into Packers nosetackle BJ Raji for a Packers touchdown. 21-7 Packers. However, Hanie didn’t quit. He led the Bears back down the field and connected with Earl Bennett for another Bears TD. 21-14. Amazingly, the Bears had life. And the Bears defense stepped up stopping Aaron Rodgers, giving Hanie a chance to actually tie the game. He looked good out there! Unfortunately, in the end, his inexperience showed. 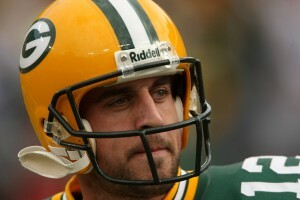 The Packers blitzed and a nervous Hanie tried to hit a receiver in traffic, which led to another Packers interception. And that was all she wrote. The Green Bay Packers are headed to the Super Bowl! Green Bay 21, Chicago 14. Next up, it was the New York Jets visiting the Pittsburgh Steelers. This was the marquee match-up of the day — a battle of two stout defenses. For the Jets, this is their 2nd straight appearance in the AFC Championship, and that’s quite the remarkable feat. The Steelers started out red hot in the first half. 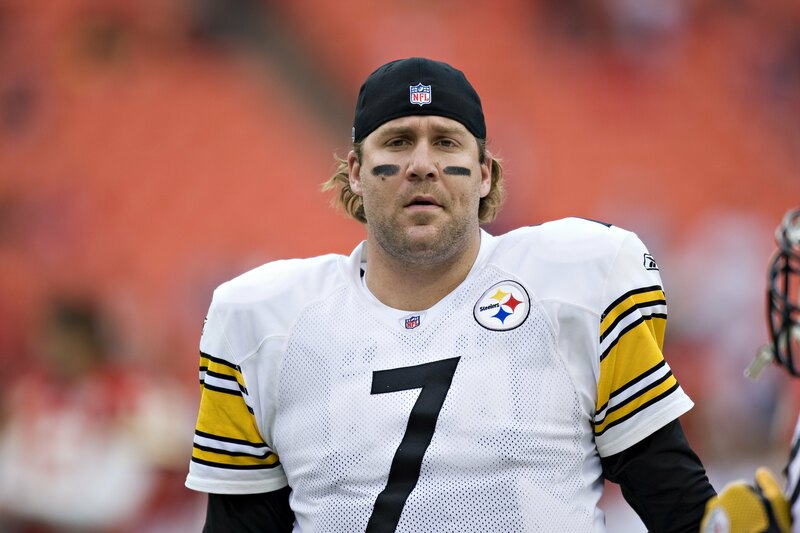 Their running back Rashard Mendenhall ran it in for a TD, and then Big Ben Roethlisberger ran in another TD. 14-0 Steelers. The Jets, on the other hand, could not get their offense going. The Steelers completely shut down their running game. Then the Steelers D blitzed Mark Sanchez, forced a fumble, and ran it in for a touchdown. Suddenly it was 21-0 Steelers. The Jets got a field goal in the first half, but that was it. It was 24-3 at halftime. But, in the second half, the Jets came storming back. Their running game turned on to help them advance the ball down the field, and Mark Sanchez looked like a winner out there. 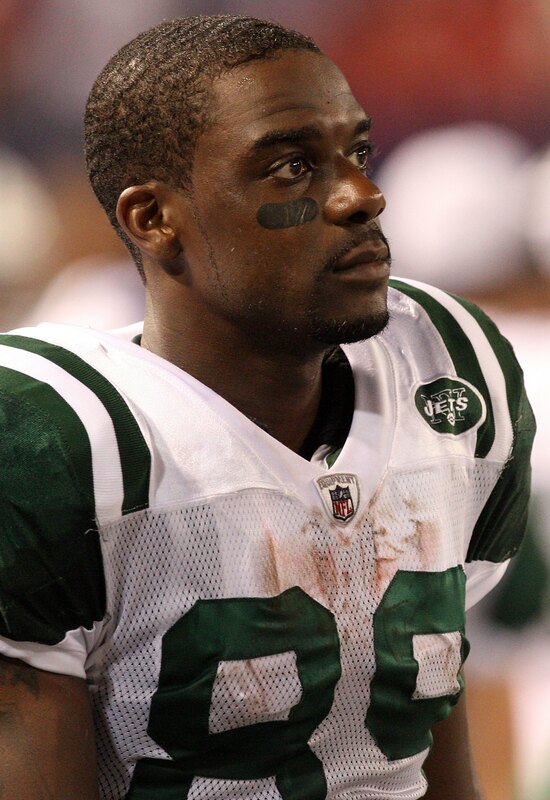 He connected with Santonio Holmes for a long 45-yard touchdown. 24-10. The Jets had it on the goal line, but the Steelers stepped up and stopped them 4 downs in a row. The Jets defense then forced a fumble and got a safety. 24-12, and the Jets would get the ball back midway through the 4th quarter. 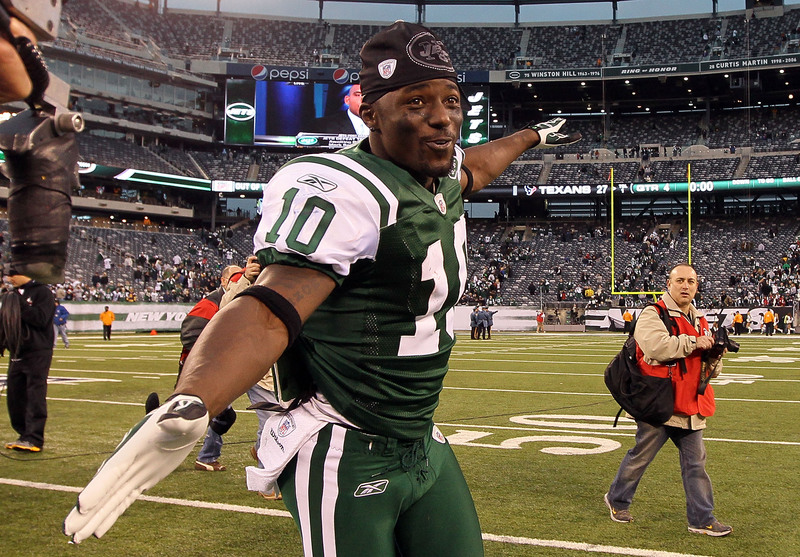 This time, Sanchez led the Jets down field and hit Jerricho Cotchery for a touchdown. 24-19 Jets with over 2 minutes to play. They had a serious chance, they just had to stop the Steelers. 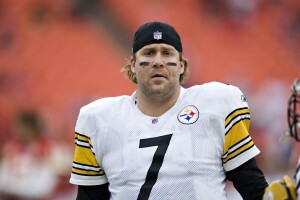 Although, Ben Roethlisberger has 2 Super Bowl rings and knows how to win games. On a crucial 3rd and 6, Roethlisberger scrambled and hit a speeding Antonio Brown for the first down. The Jets couldn’t stop the clock, and the Steelers just took a knee 4 times to clinch the game. Pittsburgh 24, NY Jets 19. It’ll be The Green Bay Packers vs. the Pittsburgh Steelers in the Super Bowl in two weeks. It should be fantastic! In the NFL, with the conference championship just a few days away, there’s some news out of Pittsburgh. Just last season, Jets receiver Santonio Holmes was in a Steelers uniform. 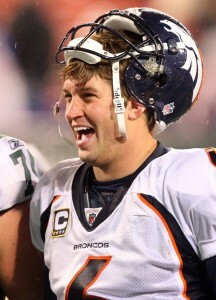 He was traded this off season to the Jets, and has significantly improved their offense. His former teammate and close friend, cornerback Ike Taylor, said he would have absolutely no problem leveling Holmes in Sunday’s games. The exact quote was, “I’m not going to hesitate to lay him out”. Taylor’s reason: Because he knows Holmes would do the exact same thing to him if he got the chance. This sentiment shows that this will be a brutal, hard-hitting game. In the NBA, just one day after Carmelo Anthony found out that he won’t be a New Jersey Net, he has gone quiet with the media. Of course, now that he’s not going to New Jersey, people want to know where he’s headed. He could be a Knick, a Clipper, who knows? But ‘Melo is staying mum. Furthermore, Kobe Bryant had a few words of advice for Denver fans. 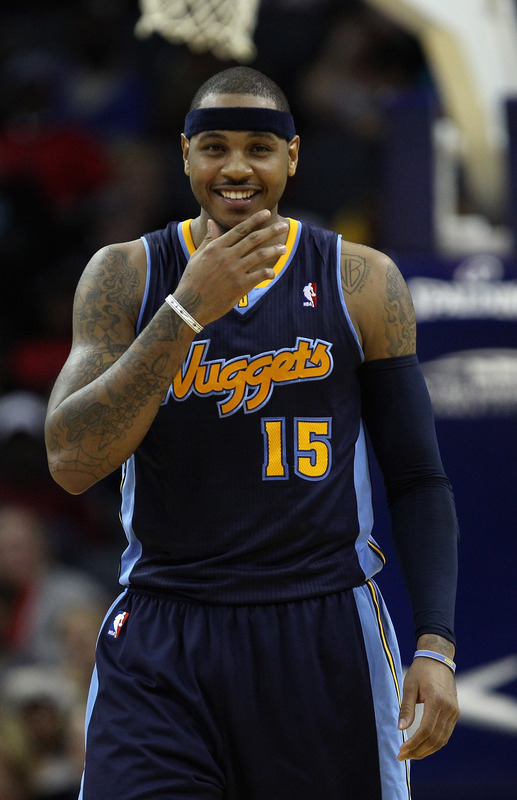 Bryant said that if the Nuggets want to keep Melo there, they should stop booing, because that just makes marquee players want to leave more. Plus, Bryant added, that he’s pretty sure Anthony’s motive has nothing to do with being in a “bigger market”. Kobe said it’s all about winning, and that management needs to do whatever is necessary for a team to win. If they don’t, the stars want to leave to give themselves the best opportunity to have a great career. We’ll see what ‘Melo does in the coming weeks. Finally, in some more Kobe Bryant news — it looks like Kobe will be the first athlete to take part in a hand print ceremony at the famous Grauman’s Chinese Theater. Kobe said it is a great honor to be with such an elite class as Marilyn Monroe, and this ceremony will take place during the all-star game. Bryant, of course, has been extremely visible in the city of Los Angeles throughout his whole career. 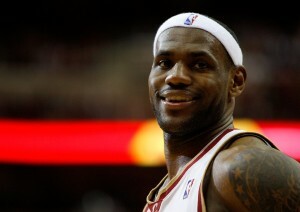 He’s the biggest celebrity in the city, has won 5 championships, and is idolized by many young kids. It’s not surprising that his hand print will be immortalized. In the NBA, some major news out of New Jersey. Nets Russian owner Mikhail Prokhorov has officially pulled out of the Carmelo Anthony trade proposal. This trade hit the news almost 2 weeks ago, and has since been played out in public. Pundits have been weighing in on this trade, the media keeps talking about it, and it has been a huge distraction to New Jersey Nets. Players on the team have been concerned whether or not they will still be in New Jersey in a week, and the Nets owner thinks that all of this drama has cost them several losses. The team is simply not focused. Yesterday, he and Nets General Manager Billy King said that they will be ok without Carmelo. They have good draft picks, a good young team, and some money to spend. They’ve decided to go a different direction, and now Carmelo is in a bind to sign something, or he could potentially lose $50 million if there is an NBA lockout. Elsewhere in the NBA, the San Antonio Spurs are quietly having their best season ever. Quietly meaning that all the media attention has been on LeBron and the Heat, the Celtics, the Lakers woes, the resurgence of the Knicks, the Carmelo trade, etc… But nobody has been focusing attention on the Spurs, who are off to their best start in franchise history. Sure, people like to ignore the Spurs. They’re a team of veterans who play sound, fundamental basketball. They give you highlights, but typically not of the Blake Griffin super-dunk kind. Last night, they were trying for 7 wins in a row against the Toronto Raptors. The Raptors were actually leading in the 3rd quarter, but then the Spurs were able to outscore them by 17 in the 3rd and eventually ran away with the win. The Spurs are in pole position to win the West this year. San Antonio 104, Toronto 95. Finally, in the NFL, many think that the surging Green Bay Packers will triumph Sunday behind the impeccable play of their quarterback Aaron Rodgers. But, there is certainly one fan in America that believes the Bears will take care of business and head to the Super Bowl. That man: The President of The United States. That’s right, Obama has made his feelings public about the Bears and the Super Bowl, saying “We’re Going”. Remember, Obama used to represent Illinois in Washington D.C. before his presidency. But does having the president’s vote of confidence guarantee anything? Not really. Either way, look for this game to be an absolute dogfight until the end. In the NBA, LeBron James was back in action for the Miami Heat. But, they would have to take on a surging Atlanta Hawks team. The game was in Miami, but Atlanta wouldn’t be afraid. LeBron James had a great night in his return, putting up 34 points and 10 rebounds. But, Atlanta, behind solid nights from Joe Johnson and Jamal Crawford, the Hawks were able to force an overtime. In OT, LeBron tried to be the hero, launching up a super-long 3-pointer to try and win the game, but it bricked, and the Hawks grabbed the rebound to win the game. Miami has been taking a few too many 3-pointers lately, but they simply don’t have the sharpshooting to attempt that many 3s in a game. This is the fourth straight loss for the Heat, and this Hawks win shows that the Southeast division could be a three-team race (Orlando, Miami, Atlanta). Don’t hand the Heat the crown just yet. Atlanta 93, Miami 89. In the NFL, a former head coach has found a new home. Josh McDaniels was once the offensive coordinator under Patriots coach Bill Bellichick. Having that on your resume can land you some pretty impressive jobs. Take Charlie Weis for instance. He won Super Bowls with the Pats, and landed a lucrative deal as Notre Dame’s head coach. Josh McDaniels did have the head coaching position in Denver for 2 years, and even used a very high draft pick to make Tim Tebow their QB of the future (many experts think he took Tebow 2 rounds too early). The Broncos let him go at the end of this season, and now McDaniels will be the offensive coordinator for the St. Louis Rams. The Rams have a solid young team that almost made the playoffs behind their rookie phenom Sam Bradford. Look for them to be a contender to win the division next season with McDaniels calling some of the shots. Finally, in some more news from the coaching carousel, Mike Singletary has also landed a new gig. Singletary was the head coach of the San Francisco 49ers for a season and a half. 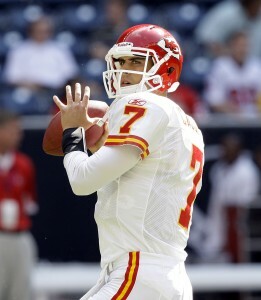 He turned the team around in 2009, and there were big expectations on his shoulders in 2010. Every pre-season pick had the Niners winning the NFC West. San Fran started out horrible and ended horrible, and that did it for Singletary. They sent him packing, and brought in the golden coach from Stanford, Jim Harbaugh. That gives them a local fan favorite (and fantastic coach) to get the Niners on the right track. Singletary landed in a good spot. He will coach the linebackers in Minnesota. In case you don’t remember, Singletary was once the most feared linebacker in football when he played for the legendary 1985 Chicago Bears defense. He was famous for the scary, shifty beady eyes that you often see in NFL historic highlight films. With him on the sidelines, the Vikings could be a very intimidating defense to play next year. In college basketball, #4 Pitt was looking to hand #3 Syracuse its first loss of the season. They got off to an amazing start! Pitt went on a 19-0 run to start the game. Syracuse simply couldn’t get anything going. This game looked to be a rare route between top teams. But, suddenly, Syracuse turned on ITS jets and staged their own comeback. It was flipped. Syracuse erased Pitt’s 19-0 lead, and oddly Pitt couldn’t seem to find any rhythm whatsoever. In the second half, it was neck and neck, but behind a 21 point night from Nasir Robinson, Pitt held on to deliver Syracuse’s first defeat of the season. The Big East is a tough place this year, and it’s too early to tell who is the dominant party just yet. Pitt 74, Syracuse 66. In the NFL, the Oakland Raiders have decided on a coaching change. They have let go of Tom Cable and promoted offensive coordinator Hue Jackson to head coach. 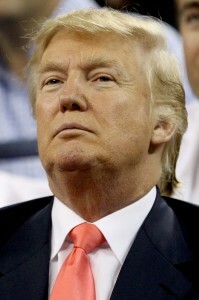 Why Jackson and not a more famous candidate? Because Jackson was responsible for doubling their offensive output this season. Before Jackson, the Raiders could barely score a touchdown. Jackson was able to utilize their new QB Jason Campbell, and their high-profile running-back Darren McFadden to put some serious points on the board. McFadden had been lackluster up until this point, but with Jackson’s guidance, McFadden turned into the machine they thought he would be. 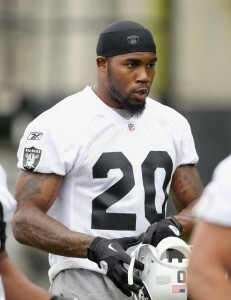 He had several multiple-touchdown games and even helped the Raiders earn a few wins. 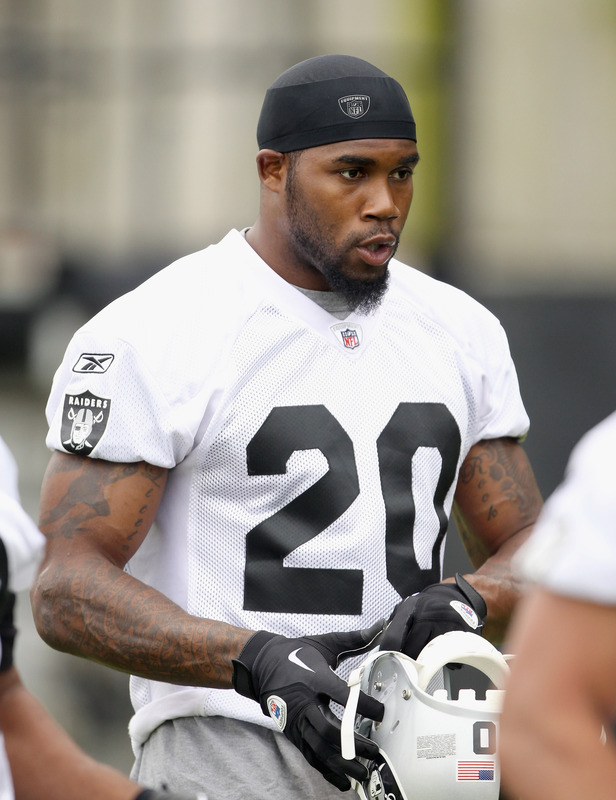 The Raiders are quietly stock-piling assets — look for them to be a contender next season. 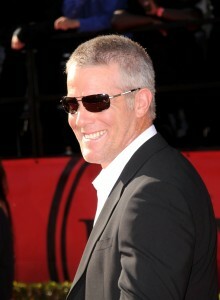 Finally, it what should be the last of the Brett Favre saga — Favre has filed his retirement papers with the NFL. That doesn’t necessarily make his retirement official, but unlike the past few seasons, this time Favre HIMSELF is really the only reason he has to retire. Nobody was pushing him out and he would have a home in Minnesota, but injuries finally caught up to him, even to the point where he had to sit out games this season. That ended his incredible consecutive games streak shy of 300 games. At this point, he actually might be too old and frail to play. But, Favre had a few parting words. He said he thinks the Green Bay Packers are the best team alive in the post-season right now, and feels that his former team (where he built his legacy) will win it all.